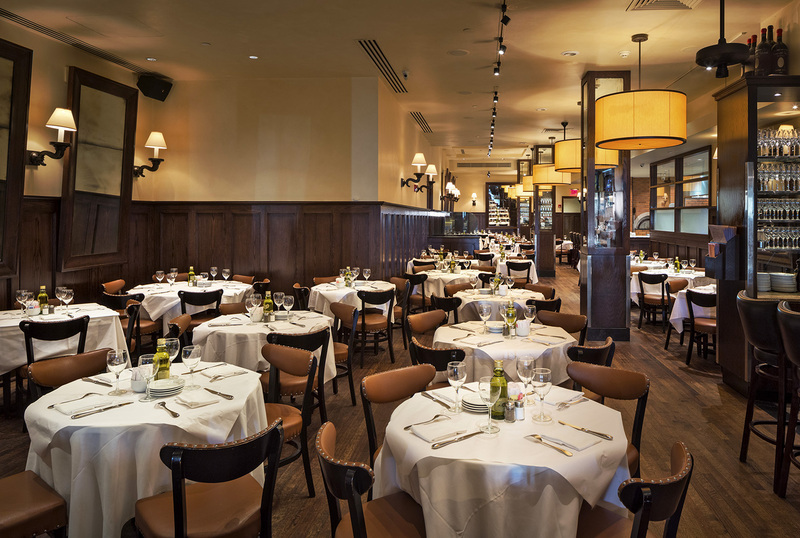 Located in Americana, Manhasset, Long Island’s most impressive shopping destination, Cipollini Trattoria and Bar is a casual, Manhattan-style restaurant. Proud owners Gillis and George Poll opened the doors of Cipollini in the spring of 2005. Their goal was to create a metropolitan dining experience that offered freshly prepared, satisfying meals at moderate prices in a comfortable, inviting atmosphere. Clearly they have succeeded. Just ask the families, couples, friends, shoppers, and business associates who flock to this trattoria for lunch, dinner, and cocktails. 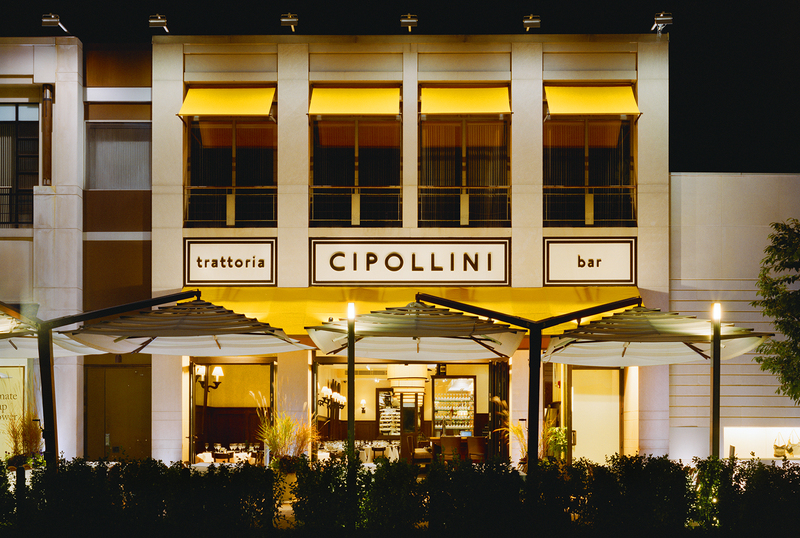 Cipollini’s attractive interior was designed by renowned restaurant designer Peter Neimitz. 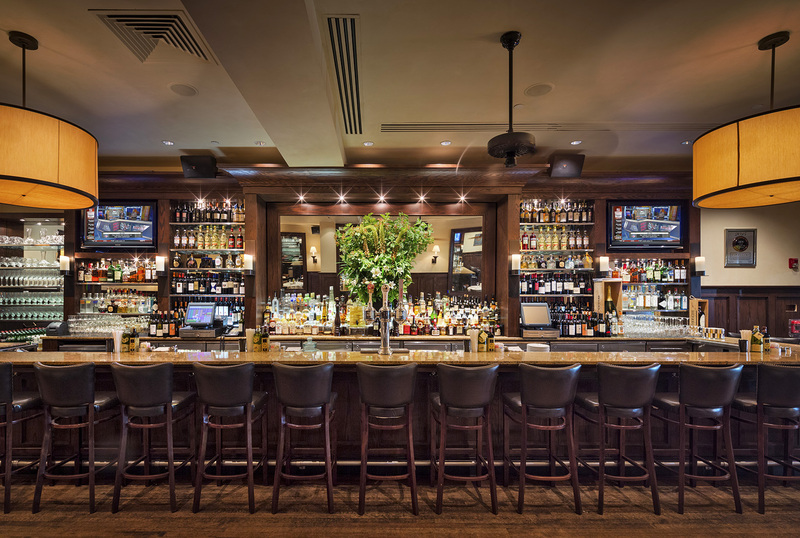 A sizeable marble bar, perfect for socializing, welcomes people into the restaurant. Large, glass-paneled doors that are open seasonally bring the atmospheric alfresco dining into the trattoria, creating unity between the indoor and outdoor seating. During warmer months, sun umbrellas come together to provide a shady canopy and natural elements and beautiful flowers immerse diners in a Mediterranean dining experience. In the cooler months, Alfresco dining accommodations include heaters. At night, diners are greeted by a simple, elegant landscape of dark wood, warm lighting, and crisp, white table linens. Cipollini has gained a reputation for its array of contemporary Italian specialties. Whether your palette prefers savory salads, enticing entrees, or freshly made, authentic, brick-oven pizzas, Cipollini offers variety and distinctive quality that will suit everyone’s taste.